PwC expects that the pick up in growth of most major economies seen between the end of 2016 and the beginning of 2018 is now over. In the US, the boost from fiscal stimulus is expected to fade, higher interest rates are likely to dampen consumer spending and a strong dollar will continue to drag on net exports. PwC projects US growth will moderate from an estimated 2.8% in 2018 to around 2.3% in 2019. Growth in China will also slow relative to 2018. Although the government will try to ensure that the slowdown is minimal, the impact of US tariffs and the need to control debt levels are likely to create a modest deceleration in growth in 2019. Labour markets in advanced economies are expected to continue to tighten, with unemployment falling further even if job creation slows. This would push up wages, but cause problems for businesses looking to fill talent shortages. In 2019 PwC predicts unemployment will fall a little further in the US and Germany, where the rates of job creation have remained strong. “Last year, the big economic news was centred around advanced economies creating around 4.5 million jobs. The UK is set to fall in the rankings of the world’s largest economies. Both India and France are likely to surpass the UK in 2019, knocking it from fifth to seventh place in the global table. While the UK and France have regularly switched places owing to similar levels of development and roughly equal populations, India’s climb up the rankings is likely to be permanent. 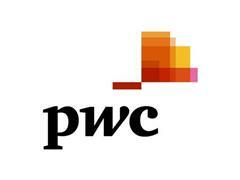 PwC projects real GDP growth of 1.6% for the UK, 1.7% for France and 7.6% for India in 2019. “India is the fastest growing large economy in the world, with an enormous population, favourable demographics and high catch-up potential due to low initial GDP per head. It is all but certain to continue to rise in the global GDP league table in the coming decades.